Hi Friends, it looks like another major bridge of regional impact across an expressway in Metro Atlanta managed by GDOT is probably going to be widened without adding accommodations for bicyclists. Uggh.. 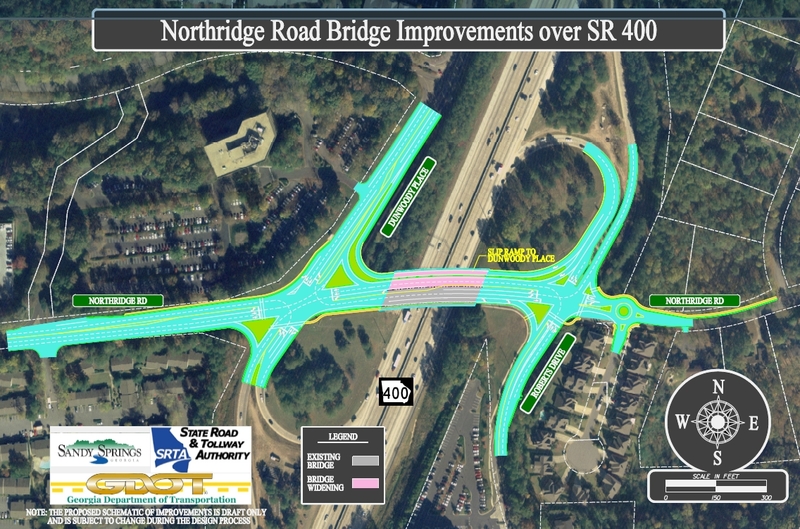 It's the Northridge Rd & GA-400 bridge & interchange in Sandy Springs. Why is this a significant project of regional impact and connectivity? Because it is the single planned north-south bicycle crossing of GA-400 between Perimeter CID / Dunwoody / Sandy Springs and Roswell. 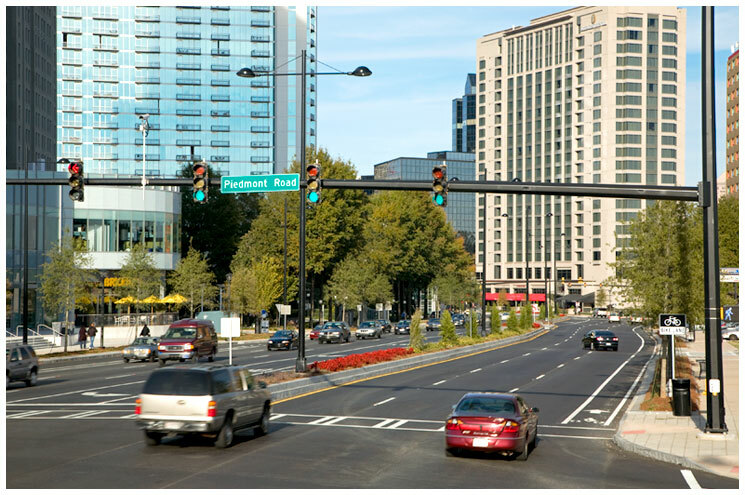 See the Sandy Springs 2008 Transportation Plan for details. Dunwoody, with it's Complete Streets Policy has built 5-ft wide bicycle lanes on Roberts Drive up to the Sandy Springs border. In the Sandy Springs plan, you’ll see that the main north-south bicycle network crosses GA-400 at Northridge. Heading northward to the Chattahoochee at Hwy-9, a new Bicycle/Pedestrian Bridge is scheduled to built, connecting southward on Roberts Drive. 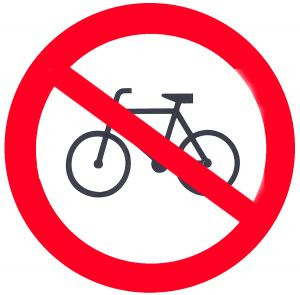 In the original 2010 project documents, bike lanes were included. After the 2011 iteration, the lanes were taken out. Why? I was told it was MONEY. It costs too much. They backward engineered the project based on a set dollar amount. 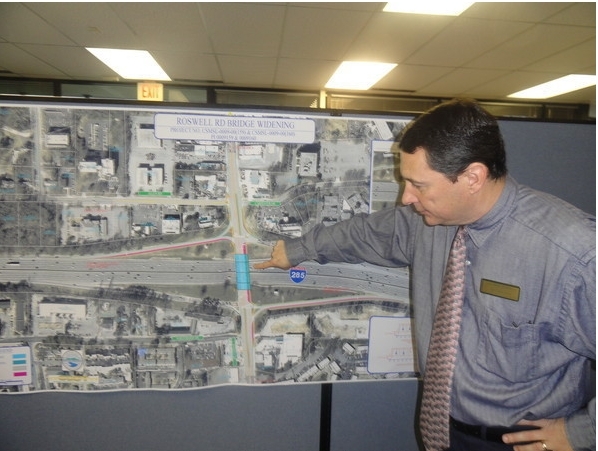 Most of the funds for this project came from the GA-400 Toll. Another FOUR Feet in the TOTAL bridge width would give us two 4-ft wide bike lanes in each direction (I'll explain below). Yesterday I reached out to the GDOT Project Manager and had a very nice phone conversation. She's going to provide me the cost breakdowns and funding sources PLUS what the (estimated) additional cost would be to put in bike lanes. "Required accommodations (i.e., where a Standard Warrant is met) may only be omitted, after approval of a Design Variance, where the cost of providing the required accommodations is excessively disproportionate to the need or probable use. Excessively disproportionate may be defined as exceeding 20% of the total project cost. This cost should consider construction, required right-of-way, environmental impacts, and in some cases operation and maintenance. Where accommodations provide safety benefits to address bicycle and/or pedestrian crash history, these benefits must be considered." Following the 2010 design, I'm expecting to see the REVISED bridge width to be a total of 106 feet instead of 110. Then, all I have to do is find a source for the additional funds. Simple, eh? B-U-T, the project has already been awarded so this all just might be too little, too late. I missed the single public meeting held in 2011 and didn't really have this on my radar, even though I ride my bike at this intersection every time I head from my house in Dunwoody over to Roswell. What can you do? Honestly, I'm not too sure. Do you have any political connections? Live in Sandy Springs, Roswell, Dunwoody or North Fulton County? You could consider contacting your local DOT, State DOT and elected officials and ask them to add back the extra 4-ft bridge width & install bike lanes. In the meantime, I submit to for your reading a Letter to the Editor in the Sandy Springs Reporter I authored nearly two years ago about ANOTHER nearby bridge widening across an interstate that also didn't get bike lanes. The Roswell Rd bridge over I-285. The reasons I were told were: a) too much $$ and b) "didn't make sense" -- because Roswell Rd just simply could never be re-engineered or designed to retrofit for bicycle facilities. Sorry, no bike lanes here, either.